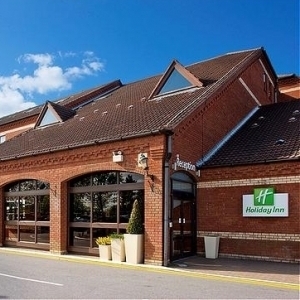 The ICT for Education national conference programme reaches Norwich on 20 May 2016 at Holiday Inn Norwich - North. Meet the experts, network with peers, solve practical problems and discover new resources in just one short day - free of charge! Pick up your conference badge(s) from Reception on the day. If you would like to bring colleagues, they can register before the event or on arrival. We look forward to meeting you in Norwich. Miles will draw together themes from school effectiveness research, early Logo programming, research into undergraduate computer science teaching and his own rich understanding of emergent classroom practice to deliver a session full of practical ideas for how to teach computing most effectively, whether in primary or secondary schools. Whether you are 5 or 105, mastering new technology can be a challenge. Louise will discuss how digital leaders can support peers, younger classmates and teachers, and outline ideas for getting started. She will also describe how to set up your own radio station broadcasting live from school to the world. An insight into the ever changing world of ICT, Computing and Computer Science across all key stages, including strategies and resources to cope. Also, a brief summary on the benefits of joining the network of hubs captained by Computing at School. Andy returns with another entertaining and informative presentation covering some of the best, easy-to-use and low-cost, often free, ICT resources available to teachers and learners – and more! With a technology career spanning over 20 years in public and private sector Dinah has seen many changes, in technology itself and our attitude to it as it now takes centre stage in our lives. Dinah is a life long learner who has helped others with their learning approach, from graduates to executives, including developing engaging, game based experience activities to help adults and using technology to support our human behaviours as a way to help collaborate and make change. Now as part of Stepping into Business, Dinah is looking at disruptive, creative technological experiences and games in schools to engage young learners in ways that work for them. Jez came into teaching after 15 years’ experience working as a software engineer and manager in the telecommunication sector. He is currently the IT strategic lead at Open Academy, Norwich. Jez’s projects over the past few years have taken him to deliver seminars in Hong Kong, Sao Paulo, Beijing and recently at the prestigious Education Show and Bett in the UK. He is working on several projects in STEM/STEAM, CPD training and virtual world teaching and learning. Jez has particular interest in the transition between KS2 and KS3, and runs the Computing at School (CAS) regional hub in Norwich, based at the University of East Anglia. Louise is a higher level teaching assistant at Recreation Road Infant School in Norwich and an active member of the digital leader community. She is the school's ICT coordinator, website and blog administrator. She introduced a Year 2 digital leader team to the school in the spring of 2013 starting with just six pupils. It is now in its fourth year, employing 24 leaders across four classes. In a recent Outstanding Ofsted inspection, the work of the digital leaders was highlighted for its role in supporting teaching and learning within school. From A11 (South) – Turn left on the Ring Road, and follow signs for Cromer and Norwich International Airport. Turn left on to the A140 (signposted for Cromer) and turn right at the traffic lights, sign posted Airport Passengers. The hotel is on the right hand side. From A47 (West) – Turn off the A47 towards Norwich Centre on the A1074. At the Ring Road, follow signs for Cromer and Norwich International Airport. Turn on to the A140 (signposted Cromer) and turn right at the traffic lights, signposted ‘Airport Passengers’. The hotel is then on the right hand side. From A47 (East) – Turn off the A47 towards Norwich North and follow the A1042 (Ring Road) signs to Norwich International Airport and Cromer. Turn right onto the A140 then right at the traffic lights, sign posted ‘Airport Passengers’. The Hotel is then on the right hand side. A regular, inexpensive bus service connects the city centre with the airport.